The information provided on this website is provided for advertising purposes. 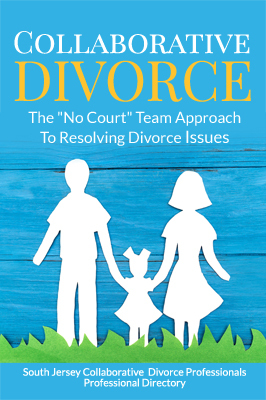 It is not to be considered legal advice, and nothing in this website shall be deemed to create the attorney-client relationship between the user and any member of the South Jersey Collaborative Divorce Professionals. No action should be taken based upon the information learned from this website without a personal consultation with an attorney. Before making your choice of attorney, you should give this matter careful thought. The selection of an attorney is an important decision. The attorneys on this site work independently of each other, and their affiliation herein extends only to the promotion of Collaborative Law and the education of the public regarding its use in family court matters.